Hollywood has produced countless war films over the decades. From some of the earliest of wars shown in movies like Braveheart and Kingdom of Heaven, to more modern wars depicted in movies like Platoon, Black Hawk Down, Apocalypse Now, Full Metal Jacket, and Saving Private Ryan. These movies have shown us the chaos of war, the dangers of even the simplest tasks, and the immense amount of damage that can be done to a soldier, both mentally and physically. Severe Clear is not one of these movies. It is very, very real. The documentary features First Lieutenant Mike Scotti, who, after volunteering to extend his service, finds himself with 1st Battalion, 4th Marines, which is one of the first groups sent into Iraq for Operation Iraqi Freedom in 2003. Their mission is to get to Baghdad to stop Saddam Hussein, and to find out whether he has weapons of mass destruction or not. Scotti decides to fully document this important mission first-hand using his brand new video camera (after losing 3 others to various mishaps). He records everything from him and other soldiers as they travel the seas to their destination, keep themselves entertained as they await orders, and as they face constant danger on their route to the Iraqi capital. Continue reading for more and to see a trailer. In terms of realism, it’s hard to find anything more real than this. Scotti made this film because of all of the lies that people are fed by the media and news outlets that report on all of the happenings of the war. You can plainly tell right away that the soldiers are not fans of the media, and even refer to them as “PR” (public relations) people instead of valid news sources. Severe Clear doesn’t candy-coat anything: the soldiers do insane things to keep from going stir-crazy, they speak bluntly and straight-forward and would no doubt insult the ears of conservative people, and it’s these types of things that make the movie so appealing. I don’t know about you, but I don’t like being informed of things that may not be completely truthful, and I don’t like when words are wrapped in a protective layers to make us think everything is prettier than it is. This is war, folks, and First Lieutenant Scotti is here to show us exactly what it’s like. Even when it comes to small things that we don’t think about like how bad the food can be, or how their weapons and equipment constantly malfunction, and how the Government doesn’t have enough people with these battalions to translate what helpful or potentially dangerous locals are saying. Going into this movie, I wasn’t too sure what to expect aside from the likelihood that I would be witnessing some incredibly disturbing imagery. While this was the case, there’s so much more to Severe Clear than that. Within the first few minutes, there was already a Star Wars reference and a little “Slam” by Onyx playing in the background. I also found myself laughing quite often during the first quarter or so of the picture; Scotti and the men alongside him are hilarious when they’re faced with the slower times that come with waiting for their next move. But when things get serious, these guys are all business, and it is that trait which makes them soldiers — the moment they need to, they happily put their life on the line for their families, their friends, you, me, and their whole country. 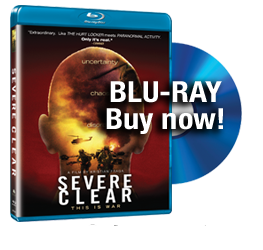 Apart from the fact that we as viewers of this movie are brought front and center to see what it’s like to be a soldier today, Severe Clear is also a tremendously well-made film. Writer and director Kristian Fraga did a phenomenal job of taking all of the footage that Scotti filmed and editing it into a feature documentary without risking the integrity of the content. The movie isn’t just an hour and a half of amateur footage from the Iraqi war, and it’s also not cut and pasted to make things seem different than they actually were for some kind of dramatic effect. It’s a simple film that takes footage of the complexities of war and crafts it into one of the thousands and thousands of compelling stories that a soldier can tell. At various points during the film, voice over of Scotti plays over the footage. Sometimes it’s a letter home to his family, sometimes it’s an audio note for a book he wants to write about his experiences, and sometimes it’s a heartfelt letter to the sister of a girl that he knew who died on 9/11, whose photograph keeps him motivated and focused on what he’s fighting for. These voice over sections are so effective in really giving you a sense of what these soldiers are feeling as they fight, and it’s truly heartbreaking to hear. As they say in the film, sometimes we forget that our soldiers are over there right this very moment, dealing with this Hell on Earth every single day, and we forget not only how important it is, but how much it means to each and every one of us, whether you agree with them being there or not. If you’re someone who has forgotten what our soldiers endure everyday, Severe Clear doesn’t just show us their time waiting for their next mission. When they do get to the combat, it’s some of the most intense and terrifying moments I’ve ever seen on film. 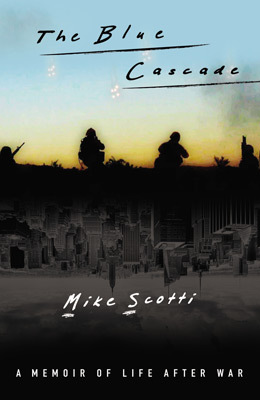 When gun shots ring out unexpectedly and the camera is flying all over the place, you know Scotti and his fellow men are taking cover, and you feel that horror as it plays out. Even in the quiet moments when reports of Scud missiles being fired suddenly ring out over their radio, I found myself completely clenched up as these guys hit the deck in case one hit their area. If these moments of horror weren’t hard enough to watch, the aftermath is no better. The reality is that again, this is a real war, and when Saddam’s Republican Guard or other armed Iraqis shoot, these guys shoot back, resulting in a gruesome aftermath. Be warned: if you can’t handle these very real and graphic images, you should approach this film cautiously — though I firmly believe that every single American should see it. People need to know what it’s really like every day out there. Later in the picture, there’s one scene where First Lieutenant Scotti talks about how he sometimes closes his eyes for just a moment to try and escape. As he says this, we see footage of the beautiful foliage of what looks like Vermont or somewhere in New England. Considering the context in which it was used, this was one of the more moving scenes in the movie. Being born and raised in New England and having the majority of my family serve in the military, I began imagining myself standing where they were standing or standing where the men in this film were standing, and just in that one moment of hypothetical fantasy, nothing seemed better than the thought of home. With the four photo-perfect seasons here every year, it’s kind of the perfect calm of America, and an ideal location to embrace and dream about when so very far away from your home and family and in one of the scariest environments you can think of. Speaking of home, Severe Clear also touches on Scotti after he returns from service. This being filmed in and around 2003 during the first couple of weeks of the war, we have to remember how long ago it was, and how long things have still been going on. After being honorably discharged and awarded multiple medals for his role in helping to bring down the tyrannical regime of Saddam, Scotti talks about life after the military. He mentions discovering that Iraq may not have had weapons of mass destruction, and remembering how quickly the people of Iraq turned on them made him wonder if anything they did mattered. This was tough to watch because you’ve just seen only a sliver of how much they’ve been through, and it clearly looks like it meant a great, great deal. As far as I’m concerned, without the 1st Battalion, 4th Marines and all of the battalions like it, we never would have known what we know now, and whether that information is what they thought it was going to be or not, it is still without doubt priceless to our country’s efforts over there. Mr. Scotti then went on to talk about how if they asked him right now, he would go back and continue putting his life on the line for our country. This reaffirms what most of us have only seen in fictitious and dramatized movies: soldiers don’t adapt well to the almost comatose ways of every day American life. They’re a different breed, born to protect and defend. We just saw a film called The Hurt Locker that touched on this a little, and that movie went on to universal praise and a Best Picture win. Unlike The Hurt Locker, however, this is 100% real. These are the men and women doing it. These are the dangers. This is war. My goal with this review is not only to praise a great film and inform you of its existence, but to make sure to express with as much gratitude as humanly possible just how thankful we at Geeks of Doom are for everything the people in this documentary and every other soldier like them have endured in their service to our country. Countless films over time have been called “important” for one reason or another — whether it be a movie or a documentary, for their message or their information, or just because they stand for something that people need to see. For me, sitting here in this moment, I feel that Severe Clear could just be one of the most important films of all-time. Without a clear understanding of what goes on in war, we can not fully appreciate the significance of war. This documentary is a big step in helping people to understand what it’s like out there and what news outlets and others aren’t showing us.